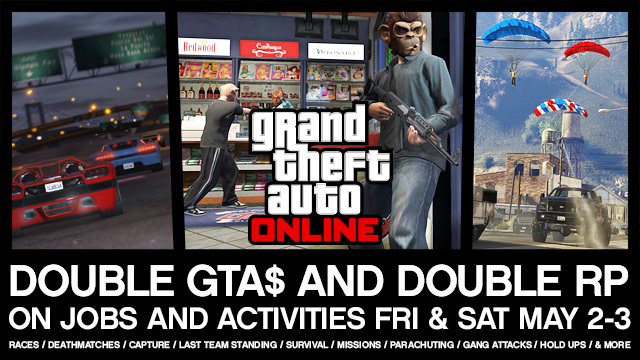 With the High Life DLC due sometime this month, Rockstar is offering double GTA$ and double RP today and tomorrow in Grand Theft Auto Online. I don't know why everyone got they knickers in a twist. sooo many negative comments.. It's an amazing game, and R* update the game regularly, keeping the game interesting with fixes and new (FREE) content. There's never been an open-world, online game like this before. It's a massive achievement, even if it's a bit buggy. The way people are talking and moaning, I don't know why they play the game. It's supposed to be an enjoyable experience. Remember, it's just a game!! P.S. 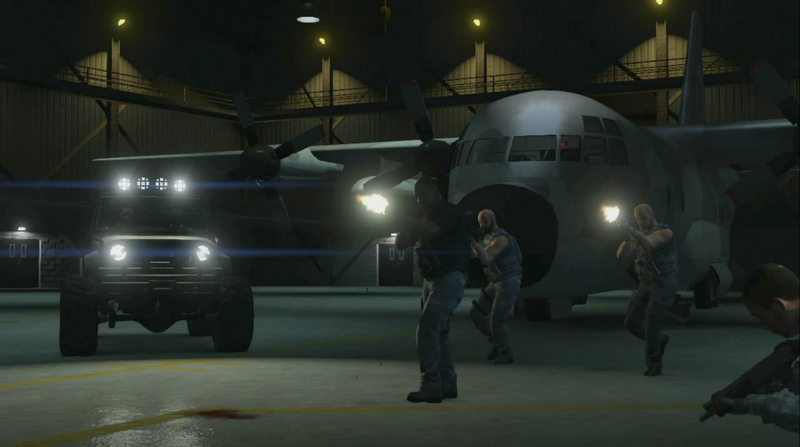 What is the difference between a 'Heist' and a normal 'job', say 'Diamonds are for Trevor'? Rockstar hasn't relesed the update yet. Thank You for that Rockstar. Im sure since everyone kept doing the rooftop rumble mission over n over for $37500 im sure everyone is a millionair by now. We are ready for some high life dlc stuff now. Thank You. ps. iv lost count on how many times iv done that mission in the last 2 days-90 times im guessing. Great. This will drop on Watch_Dogs' release date, I'm sure. High Life this Month, 2x GTA$ & RP Today-Tomorrow - Build up your cash reserve for the upcoming High Life DLC with double GTA$ and RP in GTA Online.